Dark Tranquillity's Mikael Stanne Discusses New Album "Construct"
A mainstay of the melo-death scene, Sweden's Dark Tranquillity is due to follow-up last album "We Are The Void" with new opus "Construct," which deals with themes of the constructs makind invents to justify bad behavior and bizarre beliefs. "I wish we could be more honest with ourselves and see things more clearly and be more rational," said vocalist Mikael Stanne when I got the chance to chat him up about the impending album. The "Construct" release is now only a month away, due out on May 27th in Europe and on May 28th in North America via Century Media Records. Mikael was eager to discuss the band's 10th studio album, explaining how this will be a different beast from previous offerings, as well as sharing some insight into the band's recent bassist split. Check out the full interview below for a tease about upcoming North American tour dates, as well as a discussion on cruise festivals becoming more prominent in the metal scene. xFiruath: About two months ago you guys announced a split with your bassist. What happened there and did that affect the new album? Mikael: It was something that was bound to happen, it was going on for a long time. He wasn’t really there. He’s a great guy and an awesome musician but we weren’t on the same page or reaching for the same things, and that just doesn’t work. We were nearing the recording of the album and we felt like he wasn’t totally devoted and it wasn’t working, so we talked about it and I think he feels he needs to be like a band leader. He wants to be the one in charge, but there’s no way to be in charge in our band, we’re all democratic and close to each other after playing together for so long. He didn’t really feel like he fit in, so now he’s got a new band working in the studio and I think it’s for the best for us and for him. It didn’t really affect the album at all. All the material was written and the songs started taking shape at that point. We needed a bass player but we realized we had one already, Martin played bass in the band up until 1999, so he did this album and it was awesome. I was so happy he stepped up to the plate. xFiruath: I’ve only heard the one song released online so far. As a whole how would you say this album sounds? Mikael: The album is definitely different. Nothing is indicative of the entire album, but that song is different enough to raise a few eyebrows, which is what we were after. This became like a reaction to what we’d done in the past couple of years. We didn’t want an album to be all over the place with tons of different ingredients so to speak in every song. It should be focused and streamlined. It’s very melody driven with mellow parts and some intense heavy parts as well, but it’s either/or and not everything at the same time. I think that’s the biggest difference. It became a very creative time working in the studio. We decided to open up more to any kind of idea and do whatever felt right and not worry about who is going to think what of it. Whatever comes up, that’s what ended up on the album. We couldn’t be happier with the result. xFiruath: Is there a particular theme to “Construct” as a whole? Mikael: When I started writing this I focused on the stuff that angers me the most. I think that’s the narrow-mindedness and biased will to not see things as they are. It’s a skeptical view on things with an atheistic viewpoint. I wish we could be more honest with ourselves and see things more clearly and be more rational. Just open a magazine or turn on the T.V. to see how screwed up everything is. Over the years I’ve gotten more upset about this and that got me thinking about what motivates and drives us to believe the things we believe. The big theme is the ultimate construct of religion and faith. The title is “Construct” in a most negative way, this shield or excuse we have to do the things we do. I think that anger and frustration sharpens to me and inspires me to write. xFiruath: Your guitarist Niklas Sundin did the artwork this time around, didn’t he? Mikael: Yeah, he’s done the artwork for most of our albums in the past. He’s a fantastic artist and he’s done covers for a lot of other bands as well. This time he was really overworked and spent so much time in the studio that he didn’t have the time to do a cover, at least that’s what he said to me. So I started looking around for other artists and came up with a few that were really cool. Once we came up with the title for the album I talked to Niklas about it and what it meant to me. The following morning I got an email for him saying “Uh, you know how I shouldn’t do the album cover because I’m so stressed out and I couldn’t do it? Well, I couldn’t sleep and here it is.” He stayed up all night making this fantastic cover. It’s stark and simple and kind of weird, and it fits the album. The U.S. version is something he’s been working on for a long time and it includes elements from old paintings. It’s like what we do with an album, we tend to gather material for years before getting together and construct songs from that. Niklas usually works with Photoshop for layers and layers, but I really wanted him to do something pencil and pen drawn this time. He does that all the time in his sketch books and they are amazing, but they never show up on album covers so I thought it was time to do that. xFiruath: I hear you’ve already started work on a new music video for “Uniformity” as well? Mikael: We recorded that this weekend. Patrick Ullaeus is the director, he’s done many amazing videos in the past from other bands. We always wanted to work with him, and now finally we did it. We did our part this weekend, but I’m not sure what it will work like. We talked about incorporating some of the imagery from Niklas’ work to the video, so we’ll see how it turns out. I look forward to releasing it because it’s a different song and very powerful. xFiruath: Where are you headed out to tour and how much material from the new album will be on the setlist? Mikael: We’re going to do festivals over the Summer in Europe and at the end of September we start the American tour. We’ve got some fantastic bands supporting us on that tour. It’s not 100% confirmed yet so I can’t tell you yet, but it will be out in the next couple of weeks. It should go for six or seven weeks and then we head back to Europe for more touring until the end of the year and then we’ll do South America at the beginning of next year. xFiruath: You guys are confirmed for the next 70,000 Tons of Metal Cruise. What do you think about these cruises now? There are several of them at this point and they kind of seem to be coming in as a replacement for U.S. festivals. Mikael: It is a cool thing. Here we have a cruise that goes from Stockholm to Finland and back, it’s like a one day thing. That’s like a normal thing people do, take the ferry, get drunk, come back. Now you can see some cool metal bands as well. 70,000 Tons of Metal is way bigger than that and has more bands. When we heard about it the first time before the first trip I figured it was just one of those drunken ideas you know, you’re listening to metal drinking beer and go “hey man, let’s do this on a cruise!” I never thought it was going to work. It is a pretty expensive thing and it’s got 40 bands, that’s a lot of people, and then how many people in the audience can you fit in there? But apparently it works. We were there the first year and it was awesome. Every band plays two sets over two days so that’s really cool, you see two different sets, which is awesome to be in the audience. What could be better than drinking beer and watching good metal in the sunshine? Here in Europe the same cruise line has another festival coming now too. I think that first year needed to prove it worked, and it did, so now more people are open to it. xFiruath: Have you been listening to anything interesting lately? Mikael: Oh yeah, tons of new stuff. I’ve been listening to the new Spiritual Beggars album, it’s Michael from Arch Enemy’s band, it’s awesome. I’m listening to the new Leprous album, they work with Ihsahn, it’s amazing. The album that’s impressed me the most lately is the first solo album from the guitar player from At The Gates and The Haunted. It’s an instrumental, progressive, jazzy soundtrack type album, it’s incredible. I’m very happy to be a music fan right now. xFiruath: What else would you like to say about the new “Construct” album? Mikael: There will be cool different versions of the album that fans of record collecting will need to check out. There’s a vinyl single with extra tracks coming. Decibel Magazine will feature a totally exclusive song on their flexi disc, that issue is coming out at the end of May. It’s one of my favorite songs, but it didn’t really fit on the album, so we gave it to them to release on their flexi disc. 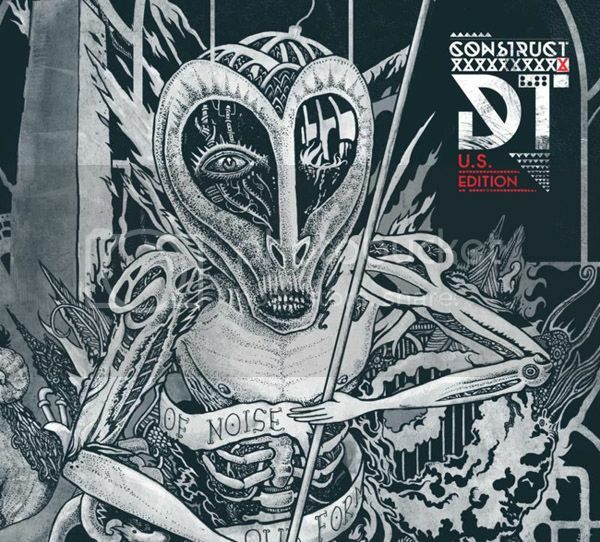 0 Comments on "Dark Tranquillity Discusses New Album 'Construct'"